Flo 1750 Workstation – Replacement Batteries for Less! ASR is proud to offer a Flo Approved Battery for your 1750 Mobile Workstations. In and around Atlanta, we will come to you. Outside Atlanta, we offer a ship service. All of our batteries for the Flo Healthcare Workstations have a full replacement 16 month warranty. We stand behind them. If you have a failure in month 15, ASR will replace it. Contact ASR today for more info and a tailored plan to exceed your needs. ASR has a full tech center to handle your MPE 7800 charging units for the Flo Mobile Carts. 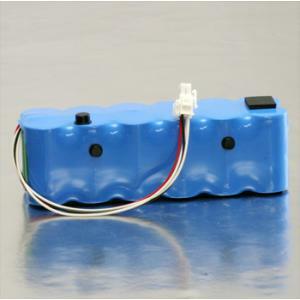 We supply batteries for the 1750, 1760, 2000, 2400, 3000, 4000 and other Flo carts. Contact ASR at 770.623.0071 or email sales@asrcomputer.com. .
Flo Healthcare Mobile Cart – Battery Replacement – Save BIG $$$ with ASR! Battery Replacement Service. Let ASR help you maintain your Flo Healthcare Mobile Carts and save you BIG $$$. Our batteries do NOT void your Flo warranty or maintenance agreement. Simply send us the Flo Healthcare 1750 charging units. ASR will replace the batteries for you. We service either your Anton Bauer or Powervar units. We use a quality NiMH battery with a 16 month warranty. Contact ASR for a customized plan to keep your mobile carts going! That keeps your staff and the nursing staff happy. Better Price. Better Warranty. Better Service. ASR is the right choice for Flo Mobile Cart Battery replacements! Call 770.623.0071 or email sales@asrcomputer.com. You are currently browsing the ASR Healthcare blog archives for June, 2011.